David Brock assessing Kavanaugh as SCOTUS judge. The right-wing efforts have had great success in part by their coordinated vilification campaigns against opponents, whether it be the Clintons, Obama, George Soros, or institutions like our federal government and the United Nations. Even our Supreme Court is gradually being infected by right-wing concepts. 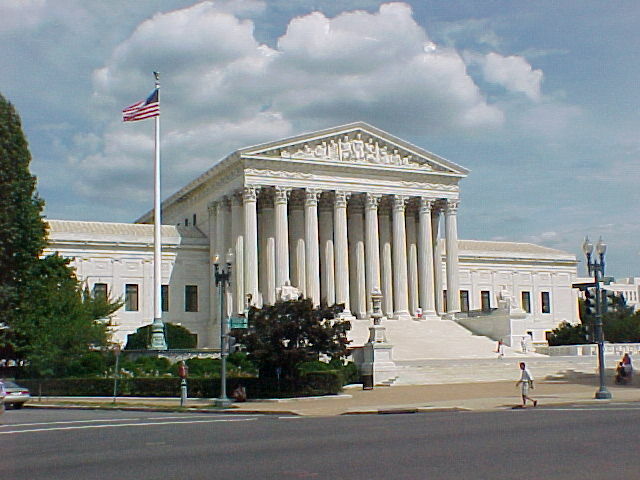 The 2010 Citizens United decision allowed quid pro quo corruption of politicians by dark groups of corporate interests with unlimited funds, and the 2013 dismantling of the Voting Rights Act has led to massive voter prevention measures in about a dozen Republican states, preventing many millions of voters in Democratic districts from voting. These SCOTUS decisions are in stark contrast to the lofty promise of the US Constitution offering equality for all under the law, protected by the US government, and should forewarn us how much more our democracy will likely suffer as our judiciary is infected by conservative judges. Sixty-eight very conservative federal judges have been appointed so far since the Trump election, many more than during any first two years by any other president, and they will vote to roll back civil and voting rights for the next many decades, “infiltrating the federal judiciary with true believers” as David Brock warned in the NBC interview. Brett Kavanaugh, “an engineer of political smear campaigns, attempting vainly to legitimize wild right-wing conspiracies” is now seated at SCOTUS. During the last years thousands of laws and regulations have been introduced at the state and the federal levels attacking civil and voting rights particularly in Republican states. Much of our federal judiciary are still fighting for our democracy, trying their best to protect the civil and voting rights that the spirit of our Constitution demands, but cannot resist indefinitely if conservative rulings against civil and voting rights increase and accelerate from SCOTUS. Our democracy is under serious assault, the recent midterm elections notwithstanding. We have had many victories but our election system is so riddled with principles antithetical to the one person one vote principle that underlies modern democracy that it will require much stronger, better coordinated messaging from progressives to fight the right-wing ascendancy in this country.